Contents: Rice, soup, milk, tea, and meat (chicken?). Looks good enough, just don't know if it would be filling. 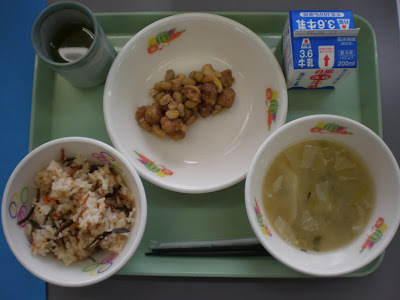 Another intelligent nation has wretched school lunch food.